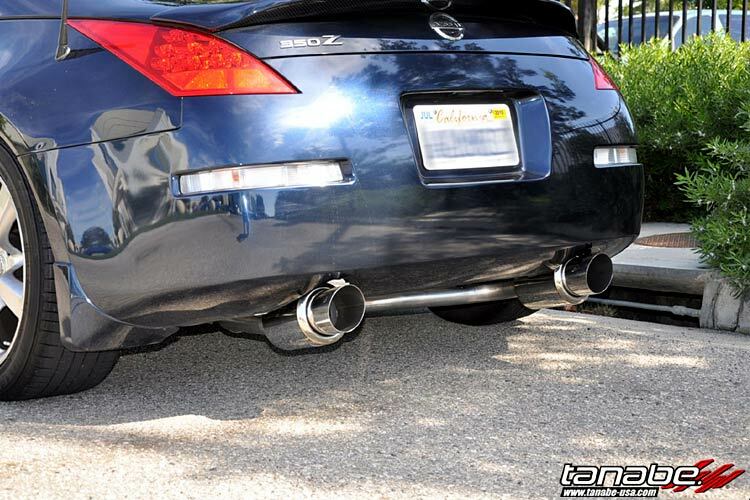 We list and review the most popular 350z exhaust systems available on the market today. 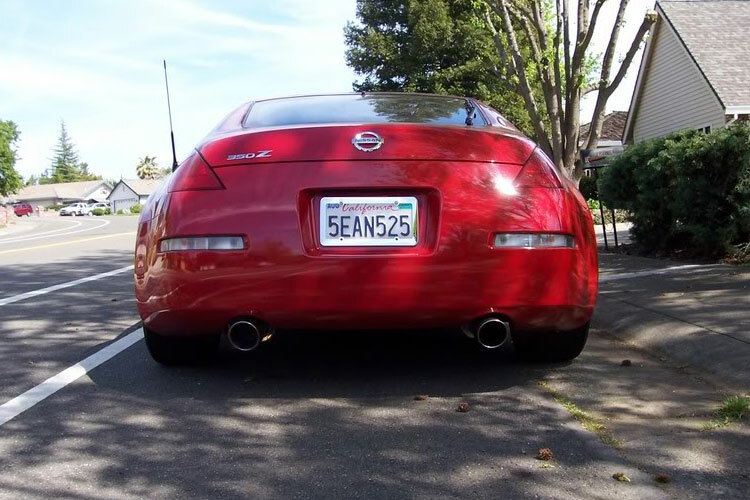 This is the ultimate guide to selecting your new Z33 exhaust. The Nissan 350z has become an accessible way for newcomers to enter the world of drifting and one of the first modifications that new 350z owners make is to upgrade the car’s restrictive OEM exhaust system. Who is this exhaust guide for? 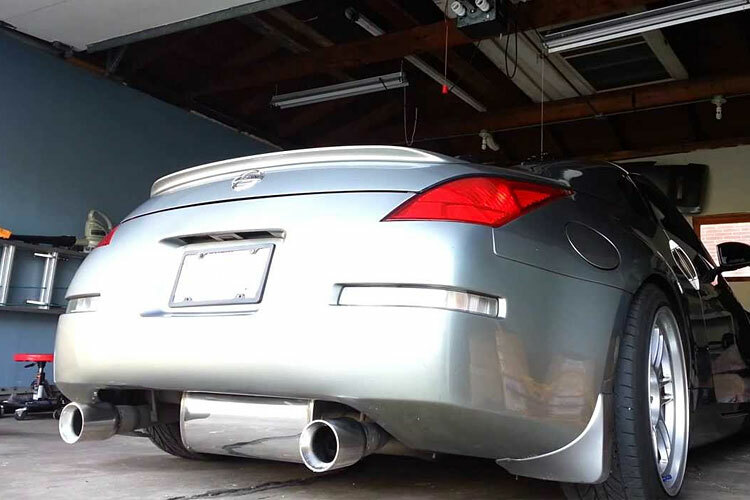 We have written this exhaust guide to help you decide on your 350z’s new exhaust system by giving product information, pricing, photos and video clips for nine of the most popular 350z exhaust systems currently available. We have also included links for where you can purchase each system. Want to free up a few more horsepowers on a budget? Take a look at our 350z test pipes guide. 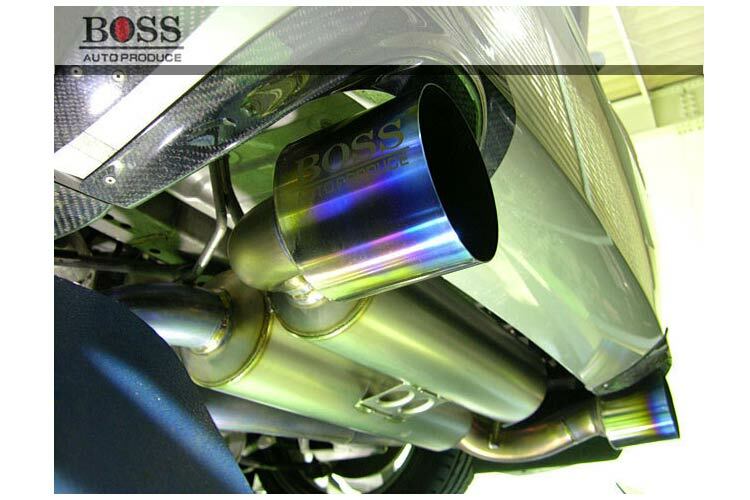 Already have test pipes and looking for the perfect compliment to your new exhaust system? Then treat yourself to a performance Y-Pipe. Our comment: Coming in at a mid-range price point the Stillen Dual exhaust system boasts considerable dyno proven performance improvements over the stock exhaust system. The exhaust yields a calm and mellow sound while cruising however it takes on an aggressive bark while under load. 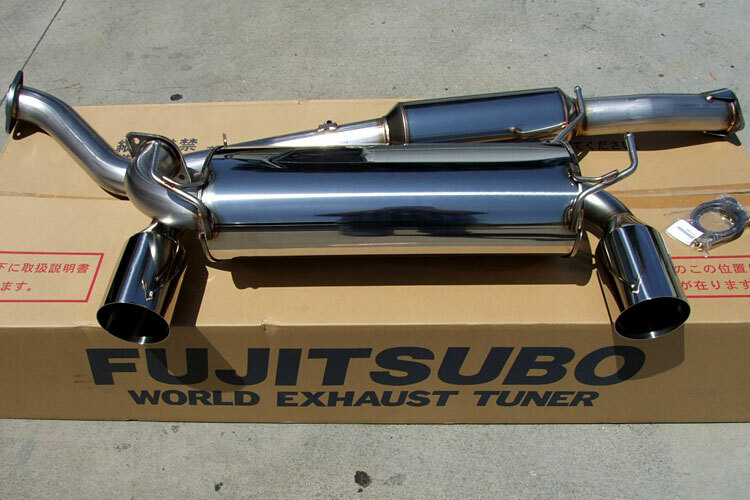 Our comment: Fujitsubo is a Japanese manufacturer with a reputation of producing street suitable exhaust applications that fit correctly. The Legalis-R is a stylish dual tip system that is focused on performance and track safe sound levels. The manufacturer quotes an 83db sound level with just the catback fitted. Price wise it is creeping into the higher end of these systems however with Japanese brands you do get what you pay for in fit and finish. 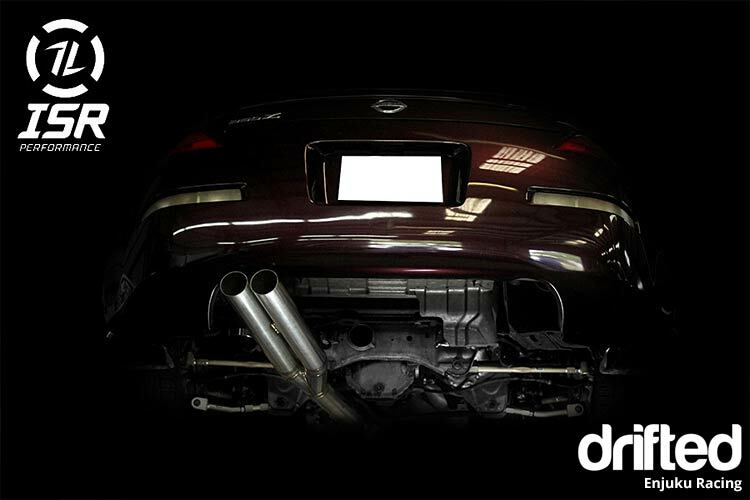 Our comment: Magnaflow is a well reupted domestic (USA) brand and the street series 350z dual exhaust system is a well built exhaust. 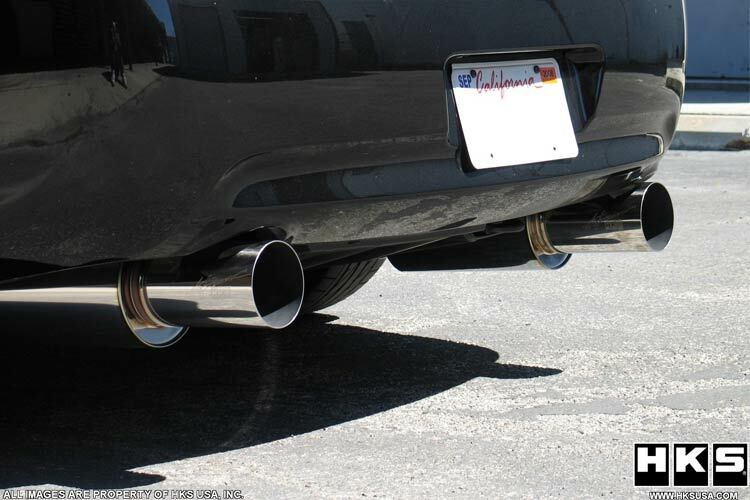 Stainless steel construction, dual tips and sensible mufflers keep sound within track safe levels. Price wise this is a mid-range system. A solid contender. 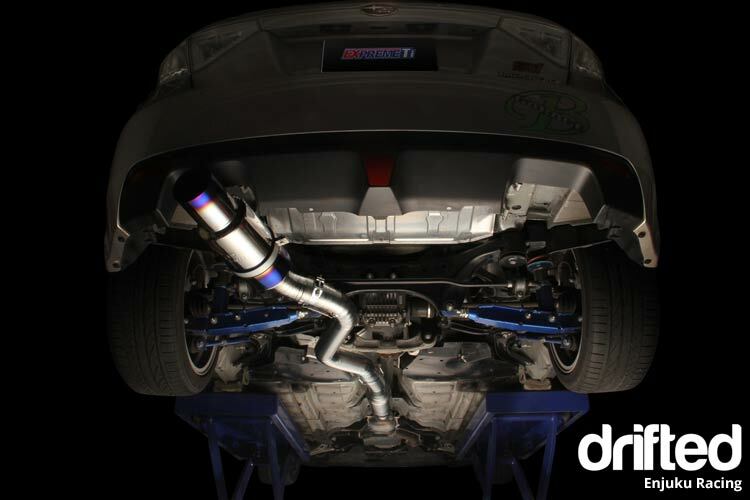 Our comment: The Invidia Gemini is a popular exhaust among the 350z community, the system runs 60mm pipework and twin 110mm exhaust tips. The tips can be offered in a stunning burnt Titanium finish. Fully Titanium pipework is also available for those looking to shed as much weight as possible. The exhaust note is deep and sonorous. Price wise the Gemini lands around the mid-range. A solid choice. Our comment: This is our entry level solution if you are not concerned with exhaust volume level and you enjoy the sound of an unmuted VQ35DE. Hit play on the video below to hear it in action. Our comment: Our second exhaust system is another offering from ISR. This exhaust includes a muffler and silencer which bring the volume down to circuit friendly levels. Instead of twin “blast pipes” this system uses a single 115mm tailpipe. Good value for money. 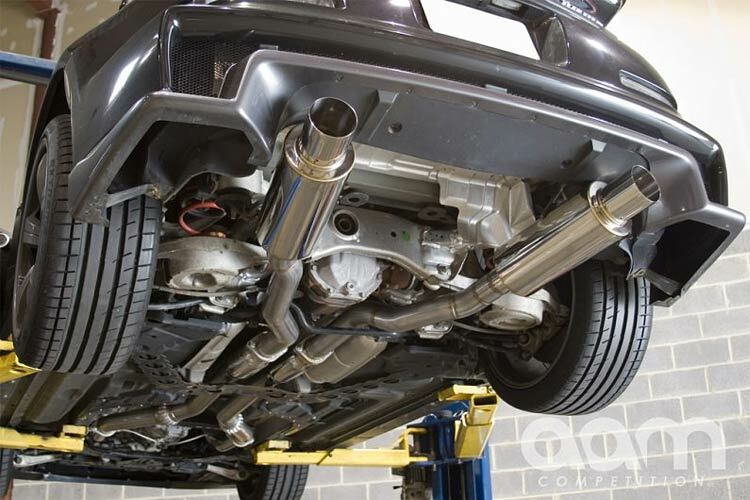 Our comment: The HKS system is one of the more pricey exhaust systems however if you know HKS then you know the fitment, sound and performance will be high quality. Hit play on the video to hear how it sounds. Our comment: The Tanabe Medallion Concept G exhaust system comes in at a medium price point and offers excellent build quality and performance coupled with a responsible 93db sound level. This would be ideal if you attended tracks with restrictive volume limits. 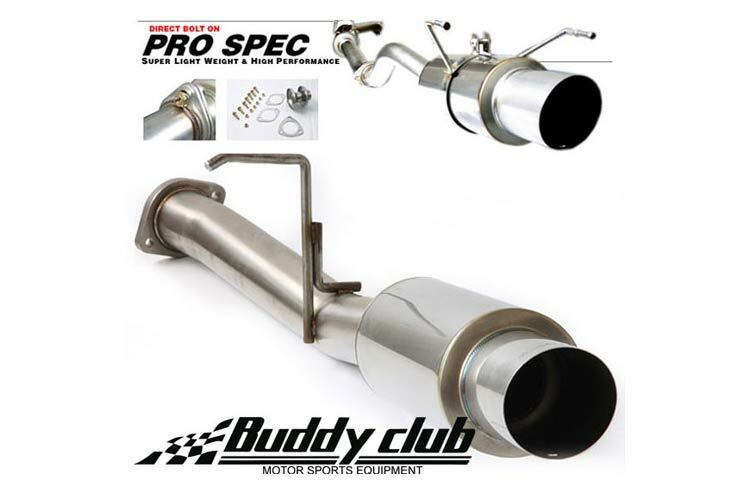 Our comment: The Buddy Club system is another mid-level priced exhaust that offers great looks, deep tone and a reasonable volume level. Our comment: The TOMEI Expreme Ti series are highly regarded exhaust systems, they offer stunning titanium build materials, sleeved joins, massive weight savings and a beautiful burnt titanium tip. They are designed to use efficient pipe routing to significantly increase power levels. Considering everything you are getting I think this exhaust system is a bargain. Our comment: I was unable to find any videos to support this exhaust system, nor pipework diameters. I have contacted AP Boss for more information and I will update this entry when I have it. Our comment: The AAM Competition system boasts impressive performance gains and is well suited to high power forced induction buils. The tone sounds nice and warm and the volume is on the loud side. Possibly not track friendly. Our comment: The APEXi N1 system looks great, has dyno proven power gains and sounds fantastic. Very reasonably priced. Own a 350z and looking for more power? Try our 350z turbo kit guide. 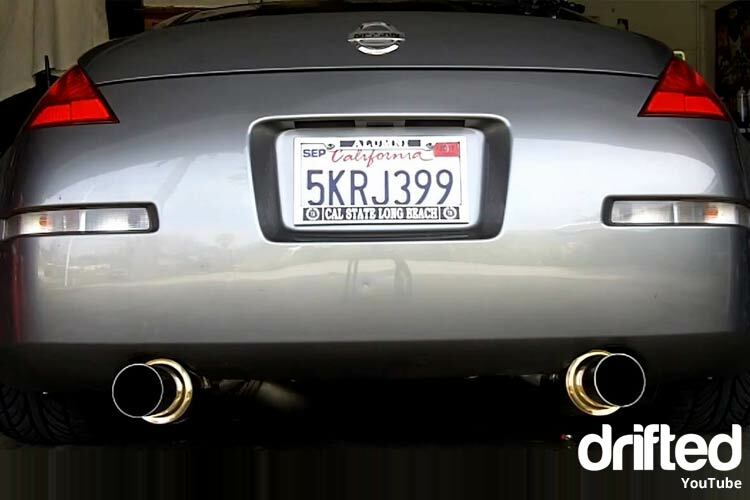 Which 350z exhaust is our winner? The TOMEI Expreme sheds weight through it’s Titanium construction while liberating solid power gains. These features coupled with a spine tingling V6 wail makes the TOMEI Expreme our winner. 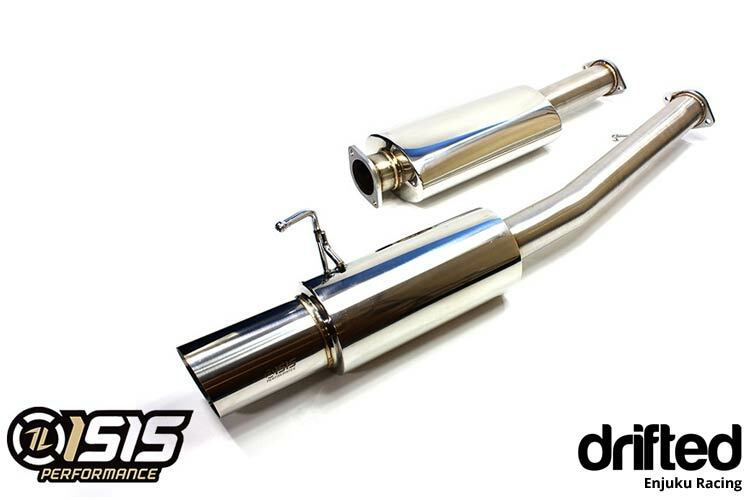 There are a plethora of quality exhaust systems available for your 350z and depending on budget you have some great options. In my personal view I prefer modifications in the mid-range, so for the exhaust I would invest in more then an ISR system but less then the AAM Competition system. With that in mind I would pick the TOMEI Expreme Ti. It is a great looking system with it’s burnt titanium tips and with thin walled piping and reduced bends the system yields solid power gains. 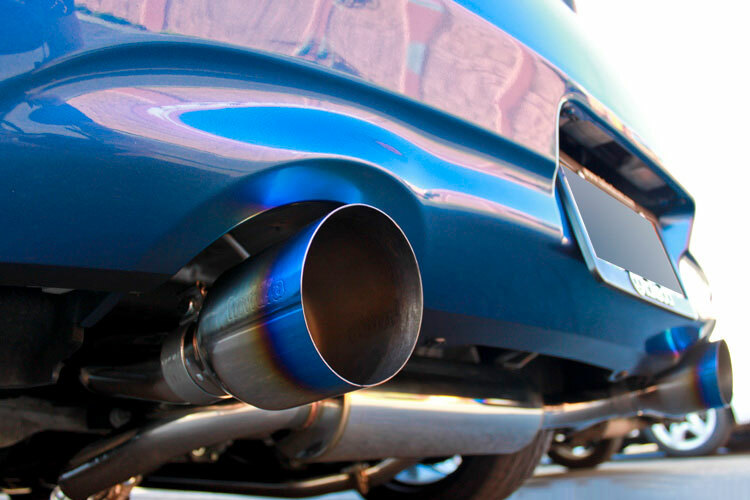 Another benefit of titanium is the considerable weight savings compared to the OEM system. If you want to match your new exhaust system with an upgraded header then check out our 350z header guide. 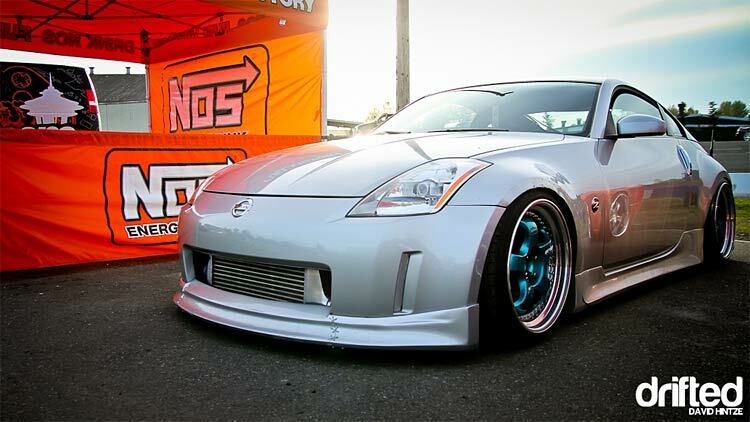 Now that your 350z is sounding sweet why not look at upgrading the suspension? Our 350z Coilover guide will give you the low down on the best suspension setup for your needs. Want to free up more power? Try our 350z cold air intake guide. Looking for an exhaust for your Infinity G35? Try our G35 Exhaust guide.